The planet is on a collision course with irreversible climate change. But BlackRock -- the world’s largest asset manager -- can set a new path forward. Tell BlackRock to divest its $6 trillion in managed assets from the fossil fuels driving climate disaster! BlackRock has funneled unrivaled... billions into dirty energy, is the world's largest investor in new coal plants, and is a key obstacle between us and a safe and inhabitable planet. The good news is we’ve taken on BlackRock before -- and won. Just last year, BlackRock divested from an Eritrean mining company using forced conscripted labor under pressure from our SumOfUs community and local partners. Now, we need to come together to call on BlackRock to take bold climate action -- before it’s too late. 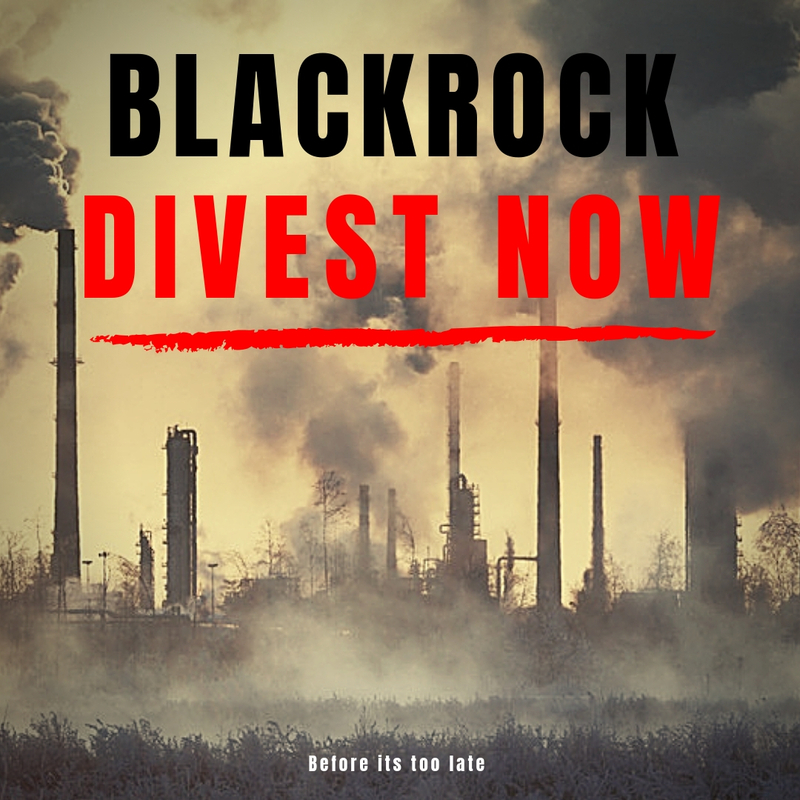 Call on BlackRock to divest from fossil fuels and chart a new course towards a global green economy.